LET’S BE HONEST – DO YOU LIKE TO GO TO THE DENTIST? No? Then you are in good company. Many people associate with a dentist appointment things like pain, long waiting times as well as imcomprehensible medical explanations. You will be pleasantly surprised that it is possible to have a positive recollection of a visit to the densitst. IN BERLIN-SCHÖNEBERG AND AT THE KURFÜRSTENDAMM. We are proud to offer you the latest treatment methods, outstanding material quality as well as a competent and friendly service. 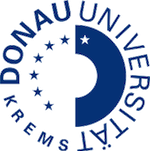 As an academic partner of the Danube University Krems our main activities lie in the fields of implant dentistry, periodontology and endodontics. Already on our website you can find out more details about our main practice areas. We gladly provide you with further information or advice during an appointment – just contact us. You can already familiarise yourself with our medical practices and lean more about our team. We are happy to assist you with any other question. Via our contact form you can already request an appointment online, or simply call us in one of our medical practices. We look forward to your phone call.